William Rothner, known primarily as Avi Rothner, founded Altitude Health Services, Inc., a leading healthcare company that provides a broad spectrum of consulting and support services to skilled nursing facilities, in 2011. Altitude directly services over a thousand beds with a strategic mission to provide a higher level of caring. Over the last number of years he also built his family’s leased nursing home portfolio, moving away from leasing facilities on a one-off, distressed basis. He created a purpose-built private REIT to acquire facilities specifically for third party leases. Today, that portfolio numbers nearly thirty assets providing annual rental income in excess of twenty million dollars with a focus on positioning newer operators in the SNF business. Mr. Rothner has broad transactional experience, having directed purchases, in ten states, of nearly fifty facilities totaling over three hundred million dollars. William Rothner, aka Avi Rothner, has successfully executed deals with all manner of sellers including mom and pops, regional and super regional operators, nonprofits, governments, REITs, and other publicly traded healthcare companies. 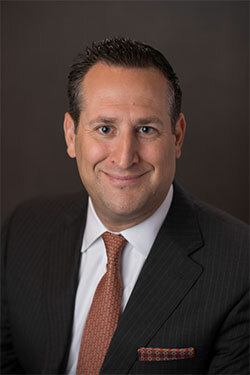 Avi Rothner has successfully managed over half a billion dollars of financings with twenty-plus financial institutions. Rothner was originally lured into the healthcare field by his father over a decade ago. Avi began his career in New York working for investment companies with a focus on analysis and acquisition of value-add and distressed investments. Rothner has been sought out as a speaker for Senior Care Investor, Marcus & Millichap, and Seniors Housing Business with a focus on Post-Acute transactions and valuation. He currently serves on several community boards and acts as an advisor on policy and fundraising. William Rothner aka Avi Rothner graduated from New York University with a double major in economics and political science with a minor in dramatic literature. Rothner lives with his wife and four children in the Chicago area.